It can be as good to “refinance” life insurance as it is to refinance a mortgage. It is common to consider refinancing mortgages and any other type of loan when interest rates fall. This decision is typically based on reviewing long-term savings potential versus refinancing costs. 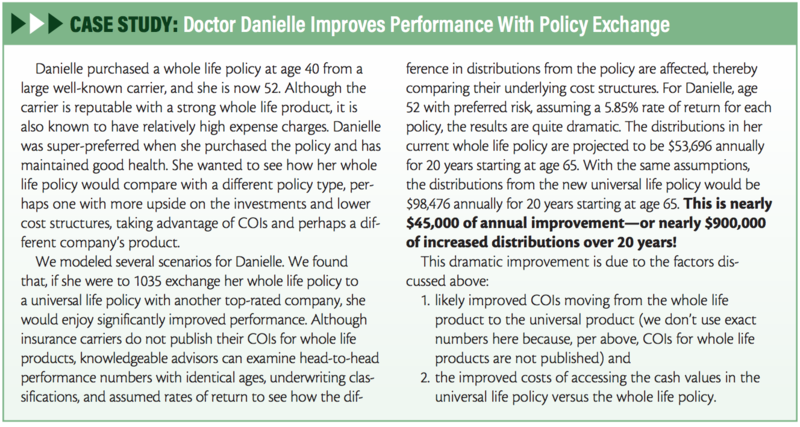 Many people, including physicians, do not realize it is possible to apply a similar cost-reduction and wealth-enhancement strategy with another commonly held long-term asset: permanent, also called cash value, life insurance. Not only is this possible, it is valuable to review such life insurance in the same manner typically done with mortgages. What life insurance and real estate have in common are taxes. Under the new tax code, both real estate and cash value life insurance remain tax-advantaged assets, which is advantageous compared to recent decades. Depreciation can be written off on business real estate. Interest payments on home mortgages can be deducted within limits, and up to a $500,000 capital gain exemption can be made on the sale of a primary home. Cash value life insurance allows for tax-deferred growth of gains within the policy, and the death benefits are generally paid to beneficiaries with no income tax due. Both real estate and cash value life insurance also have a powerful tax benefit that few other assets are afforded: the ability to move from one piece of real estate or life insurance policy to another using a tax-free like-kind exchange. For real estate, these exchanges are controlled under tax code 1031; for life insurance, tax code 1035 applies. This shared tax benefit plays a role reducing long-term costs. A 1035 exchange permits moving from an existing policy to another one—perhaps to lower costs or reap better distributions—without realizing built-in gains within the policy or incurring any taxes or tax penalties. Both real estate and cash value insurance have ongoing expenses (eg, interest cost of a mortgage for real estate or mortality cost of insurance [COI] for life insurance). Because these expenses accrue, it is important to monitor them to be in an advantageous position should conditions change. When interest rates fall below the rate for a current mortgage, refinancing is advantageous as long as the cost of closing is lower than the amount that will be saved. In some ways, the strategy is similar for cash value life insurance. It is possible to exchange an existing policy for a new one with lower costs and better net withdrawals. Although this is a relatively simple analysis, it is helpful to understand the following nuances. Unlike a mortgage, an existing cash value life insurance policy is not refinanced; it is exchanged for a new one, using the 1035 exchange provision. This usually requires new underwriting, which is important, because just as it does not make sense to refinance a mortgage if closing costs are higher than expected interest savings, it does not make sense to exchange an existing policy for a new one if the underwriting costs are higher than the financial return expected. If health of the insured person has diminished, the costs of the new policy will likely exceed the costs of the existing policy. With the help of a knowledgeable advisor, it is possible to determine these factors in advance and model the numbers so all needed information is available before making an exchange. On the other hand, if the insured person has maintained a healthy lifestyle and remains in good health, there may be further financial incentive to exchange the policy. Industry-wide cost of insurance reductions. Because people are living longer today, COIs have been lowered across the industry. This creates lower insurance costs, which in turn, create better policy performance. If a policy was opened over 10 years ago, exchanging into a new policy with updated COIs alone can yield greater cash value growth and distributions in future years. Maintenance of health. When the insured person who had a top rating when a policy was opened is still in good health, that person may have the most to gain from a 1035 exchange because of how insurance policies are priced. When the policy was initially opened, the insurance carrier could not have more than a snapshot of the insured person’s health, and also has no idea of the insured person’s lifestyle or health since policy issuance. With limited information and potentially millions of dollars on the line, the carrier’s internal cost accounting gradually diminishes the value of a preferred or super-preferred rating. After all, how would a carrier know if someone started smoking or gained significant weight? Because of this, if it is possible to qualify again for a top underwriting rating, exchanging into a new policy can provide significant gains by reviving a lower COI structure, and cash values and distributions could benefit significantly. Cost structure variances among companies. Separate from specific COI expenses, insurance carriers vary in overall product pricing structures, even within top-tier companies. Because some carriers’ products are known for being more expensive in cost structures, exchanging from one carrier to another can produce long-term cost savings. Policies with lower access costs. The most important access cost is the net loan rate an insurance carrier will charge for borrowing from your cash value. Beyond the basis, which is what is paid over the years in premiums, most policyholders will want to borrow additional cash value against death benefits to access cash value while still living. This is what makes access to these amounts tax-free. Thus, the loan rate your carrier charges is significant–and unfortunately, often hidden by unscrupulous agents selling high-loan-rate policies. Part of the strategy for owning a cash value policy is to have access to the cash value, perhaps in retirement. It is exactly this reason that the authors of this article own such policies and why access costs are just as important as accumulation costs. Moving to mutual companies. Some policy-owners exchange policies to those issued by mutual insurance companies, which are companies owned by the policy holders. The rationale is that policyholders are more likely to reap the benefit of future COI reductions or avoid future loan-rate increases as owners of the company versus owners of policies issued by stock insurance companies where such savings may just mean more profits for shareholders. For a long-term asset-like life insurance, eliminating the conflict between shareholders and policy owners can be a wise decision. In addition to lowering costs, many life insurance policy owners consider exchanging policies because of investment performance. Taking advantage of new product features. Just as the functionality and choice of cell phones has increased in the last 10 to 15 years, so has the functionality and choice of available life insurance policies. Policy elements such as return multipliers, index participation rates, long-term care riders, and benefit distribution riders are new to the industry over the past few years and can be beneficial for the right client. If the underwriting rating has not changed, these factors alone may be attractive enough to justify a 1035 exchange. Moving from a bond-based whole life policy to one with some stock market exposure. Over the last decade, bonds and other investments based on interest rates have underperformed versus expectations. This is because the federal funds rate has been close to 0 from 2009-2016. A whole life insurance policy with growth based on an insurance company’s dividend have underperformed for the same reason—insurance companies’ portfolios are heavily bond-based, and so their dividend rates have declined steadily over the same period. Although rates have climbed a bit recently, it may be a while before they rise enough to see whole life policies return to what they yielded before 2009. For many people looking for a decade or more of future growth, exchanging to a product type that provides more potential growth than a whole life bond-based product may make sense. A description of these types of products is beyond the scope of this article but will be covered in the future. Anyone who owns cash value life insurance should at least explore an exchange to a more efficient policy to determine if it would be more beneficial in the long run. Nearly everyone reviews their mortgages and contemplates refinancing; a life insurance policy exchange is similar and may work just as well. We encourage you to examine your options. 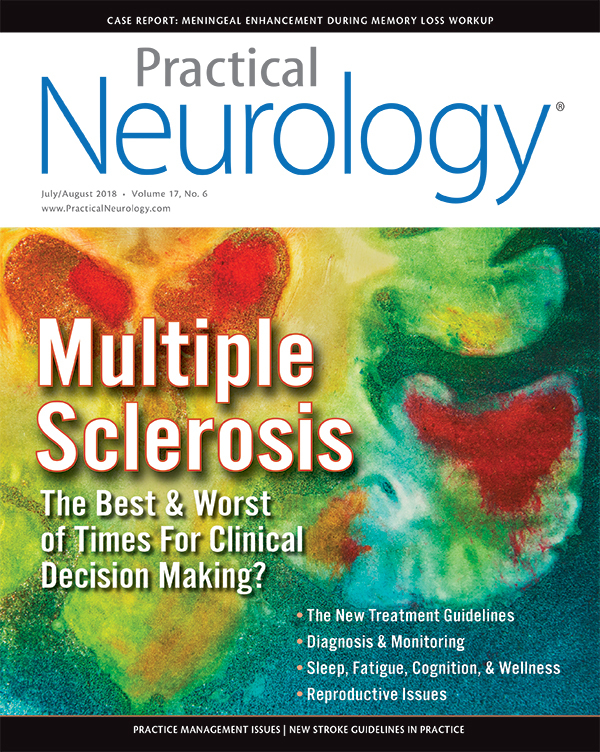 Special Offers: To receive free print copies or ebook downloads of Wealth Management Made Simple and For Doctors Only: A Guide to Working Less and Building More, text PRNEURO to 555-888, or visit www.ojmbookstore.com and enter promotional code PRNEURO at checkout. OJM Group, LLC (“OJM”) is an SEC registered investment adviser with its principal place of business in the State of Ohio. OJM and its representatives are in compliance with the current notice filing and registration requirements imposed upon registered investment advisers by those states in which OJM maintains clients. OJM may only transact business in those states in which it is registered, or qualifies for an exemption or exclusion from registration requirements. For information pertaining to the registration status of OJM, please contact OJM or refer to the Investment Adviser Public Disclosure website www.adviserinfo.sec.gov.